UPPER EAST SIDE — New playground equipment at theStanley Isaacs Houses, handrails that will help seniors navigate the steps at Carl Schurz Park, and an updated cooling system at the67th Street Library where many people take refuge during the hot summer months. All of these proposals could go from wish list to reality through Councilman Ben Kallos’s participatory budgeting program. Last week, the newly elected Ben Kallos introduced a bill that would lower the minimum age for Community Board members from 18 years old to 16 years old. According to Kallos, allowing more teens the chance to sit on the governing bodies, which don't make laws but do advise the city on neighborhood matters such as zoning, traffic, liquor licenses, and budgets, will "lay the groundwork for a lifetime of civic engagement." Last week, a bill was introduced to the New York City Council that would lower the required minimum age for Community Board members from 18 to 16. 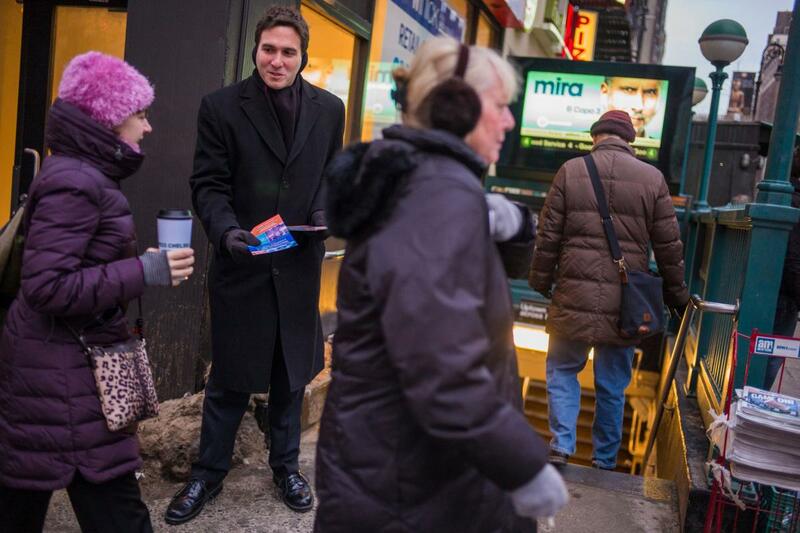 By doing so, the bill's creator, the newly elected Councilman Ben Kallos, hopes to offset the low percentage of Millennials involved with their Community Boards: in Manhattan, only 6 percent of this year's applicants were between the ages of 18 and 24. Kallos believes it'll be a real-life civics lesson, providing exciting insight to unexciting meetings. UPPER EAST SIDE — The City Council is considering a resolution that would bring civics lessons out of the classroom and into real life for New York City teens. Councilman Ben Kallos introduced a resolution last week in support of a state bill that would lower the age requirement for serving on neighborhood community boards. Currently, a person must be 18 to become a community board member. The bill, which is backed by Assemblywoman Nily Rozic and state Sen. Andrew Lanza, would allow 16- and 17-year-olds to serve. Albany, N.Y. – With the dawn of national Sunshine Week on Sunday, good government advocates will intensify their campaigns for more transparency in New York State, where progress in open government is seen as a mixed bag. The state has made headway in providing online access to public records, but the state legislature and city government are failing to grant greater access to meetings where policy decisions are made. Freshman Councilman Ben Kallos, representing the Upper East Side, held a hearing Monday as chair of the Government Operations committee aimed at overhauling the application and appointment process to the city’s 59 community boards. Kallos’ office reported about 1,500 spots were opening across the five boroughs, and that reforms in recent years had been achieved but never standardized. Mark Levine, a Jewish councilman from Harlem and Washington Heights, was selected to lead the Jewish caucus in the City Council. There are 14 Jewish members in the City Council, up from 10 in the previous Council. Last weekend, around one hundred members of New York City's civic hacker community came together to help develop tools that would be useful for City Council and local Community Board members as part of Code Across NYC, organized by Code for America brigade betaNYC. As part of the event, open government advocates Manhattan Borough President Gale Brewer and City Council member Ben Kallos discussed their transparency advocacy. With input from five Community Board members and New York City officials, the weekend program resulted in the creation of 20 projects, of which 12 were submitted for five awards. The Board has not been “anywhere near as cooperative” as necessary in responding to a 2013 DOI investigation that detailed nepotism, incompetence, inefficiency -- and even possible crimes, DOI Commissioner Mark Peters (pictured center) told a joint hearing of the City Council Government Operations and Oversight and Investigations Committees. A new report by a group opposing the construction of the waste transfer station on the Upper East Side claims that the city’s comprehensive waste management plan is deeply flawed –the latest salvo in a battle between local residents and a city that’s struggling to adequately deal with the trash it generates. As Upper East Siders continue their campaign to upend the reopening of the E. 91st St. waste transfer station, the politicians refuse to suggest an alternative site. Mayor de Blasio and Council Speaker Melissa Mark-Viverito support the five borough plan. While there was a lot of hype about a report that the NYPD is testing Google Glass, in the short-term a policy-shift toward more accessible NYPD data has the potential to be more consequential for New Yorkers at large. A new platform officially launching Monday hopes to provide voters with the opportunity to pose questions to elected officials and other prominent figures every day of the year, in some ways echoing an ongoing Ask Me Anything concept. This morning, Council Member Ben Kallos, staff and volunteers from progressive advocacy groups and labor groups advocated for Universal Pre-K in New York City on the Upper East Side. Council Member Kallos’ team engaged members of the public in conversation, distributing information and signed up interested residents.